Il Poggione is Montalcino’s fourth largest estate and is considered by many wine critics to be one of the most reasonably priced and cellar worthy wines on the market today. 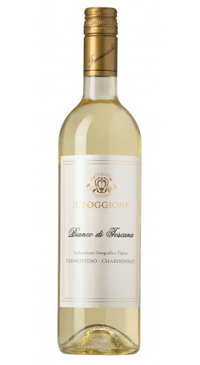 A fresh white blend of Vermentino and Chardonnay grapes. After the harvest, the must stays in contact with the skins for 24 hours and subsequently ferments for 25 days at 12 °C (54 F). The blend of the two grapes allows to get the best from both: the freshness and the minerality typical of the Vermentino, with the structure given by the Chardonnay.